In the State of Florida, arson is defined as a person inflicting damage to a dwelling or other structure via fire or explosion. It’s considered a serious and especially heinous crime, and if you are accused, you must immediately seek the advice an experienced Fort Lauderdale criminal defense lawyer. 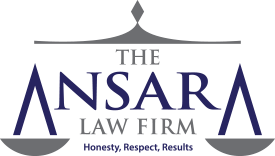 At The Ansara Law Firm, we recognize that arson laws were originally intended to protect people from being harmed by having their property burned while they were still inside it. But the statutes have expanded to allow for severe punishment for burning any kind of structure or property – regardless of whether people are inside or present. This is first-degree arson. If a person is convicted of arson under this statute, it’s a first-degree felony, punishable by 30 years to life in prison. Structure alleged is defined under F.S. § 806.01(3). At the time, defendant intended the fire bomb would be willfully or unlawfully used to damage a structure or property by explosion or fire. The state statute broadly defines “fire bomb” as a container of flammable or combustible liquid or any incendiary chemical compound or mix with the ability to either be ignited or having some means of causing ignition. Commercially-manufactured devices used for cooking, heating or illumination aren’t considered fire bombs by state law. Defending these charges is often much more complex than people realize. The fact is, prosecutions for arson are often based on expert opinions of the evidence – and not much else. That’s because other than ash and smoke, there is often little in the way of definitive forensic evidence. The fact is, even experienced investigators may have a difficult time ascertaining and correctly interpreting heat patterns, pinpointing the origin and identifying the cause of the blaze. Sometimes, the destruction is so total that investigators are left with very little to go on, and sometimes clues are conflicting. The conclusions reached are often imperfect or incomplete. But that won’t necessarily stop a prosecutor determined to push the case forward once a suspect is identified. A good defense to arson is going to start with an independent investigation by your legal team. That needs to begin almost immediately, with the aid of a private fire investigator who will be granted access to the crime scene. This is because police investigators will have already had teams – either internally or in conjunction with the local fire department and even with the property owner’s insurance company – who will have sifted carefully through that evidence right away. Not only will this investigation be key to introducing favorable evidence, it will be essential in challenging the theories and conclusions reached by prosecutors. An effective investigation can help uncover any mistakes, oversights or outright untruths made or presented by prosecutors. It is not always necessary in these cases to definitively identify a conclusion as to what caused the fire, so long as we can raise reasonable doubt it wasn’t you.